In the lead up to the presidential inauguration Luke Holmes documents the life of President-Elect Trump. It would be true to say that you cannot go anywhere without hearing the name Donald Trump. The man who was elected by the United States of America to be their 45th President and the first republican in the White House since George Bush. 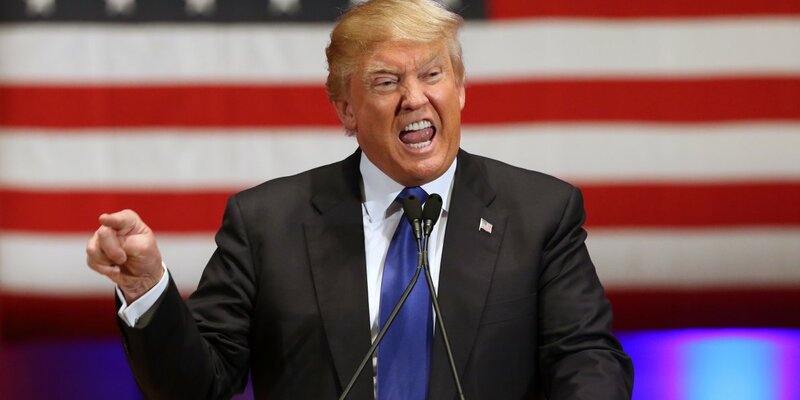 We seem to have grown accustom to his fierce rhetoric such as claiming to build a wall along the southern border with Mexico, claiming “No one builds things better than me folks”. We have at some stage heard the infamous line “A complete and total shut down of Muslims, entering and leaving the United States”. We seem to know a lot about his political stances on areas such as immigration but what do we really know about the man himself, Donald J. Trump. His older brother Fred Jr died in 1981 from alcoholism which led trump to never drink or smoke. Donald J. Trump is a native of Queens, New York and was born on June 14th 1946 to Frederick and Mary MacLeod Trump. Frederick was a Real Estate developer in the area which shows us where Donald got his flair for business. He also has four siblings, three of which are still living, Maryanne, Elizabeth and Robert, his older brother Fred Jr died in 1981 from alcoholism which led trump to never drink or smoke. 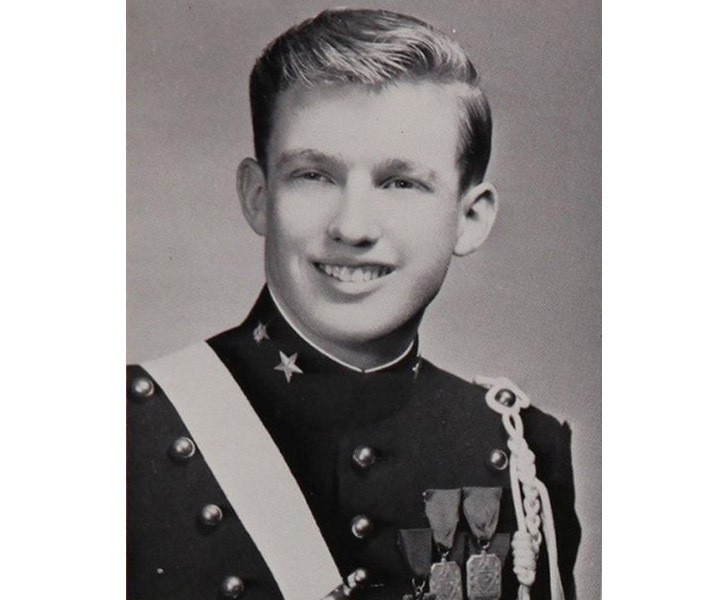 Due to Trumps personality of being over assertive, he moved from the Kew-Forest school at the age of thirteen to the New York Military Academy in upstate New York where his parents hoped it would give him more discipline. Moving to the academy seemed to be the best thing for him as it was here that he honed his leadership skills and was also a star athlete. He graduated from the academy in 1964 and from there went to Fordham University in the Bronx area of New York. As he wanted to follow his father in the line of Real Estate he left Fordham after two years and joined the Wharton School of Finance at The University of Pennsylvania as they offered one of the few Real Estate courses in the United States at the time. In 1968 he graduated from his class with a degree in economics. After graduating from College he went to work with his father Fred Trump at Elizabeth Trump and Sons Real Estate business. This business was responsible for middle-class rental housing in areas such as Staten Island, Brooklyn and his home area of Queens. 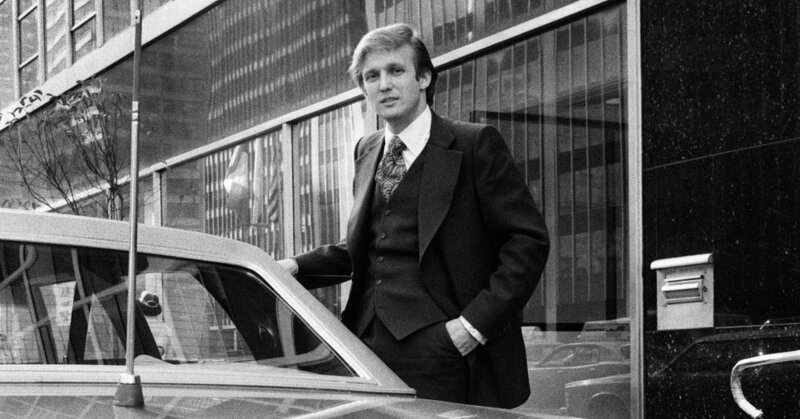 In 1971 he became president of the company and renamed it The Trump Organization. Perhaps his most famous piece of work is the Trump Tower located in New York. 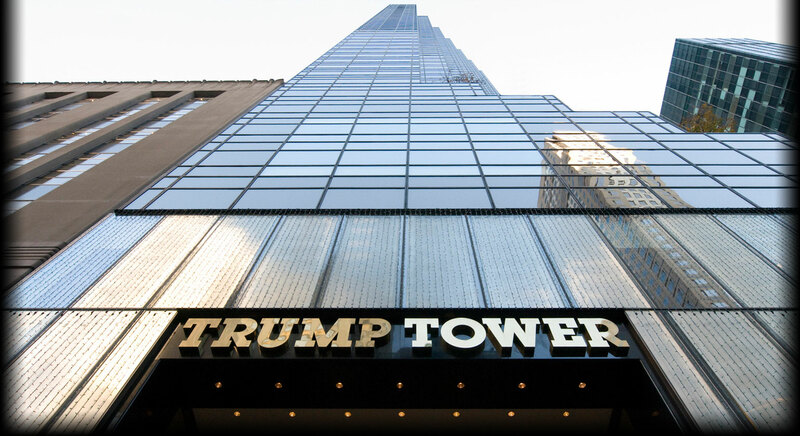 In 1983, The Trump Tower was completed and stands tall at 58 Stories in New York City. However, controversy arose when they demolished the previous building that used to stand there. It was reported that more than 200 undocumented Polish Workers were used in the demolition and how they were paid $4-5 per hour for working 12 hour shifts. Mr. Trump claimed that he rarely visited the demolition site and claimed he did not know of the workers who were later dubbed “The Polish Brigade”. Kind of goes against his policy on illegal Mexicans doesn’t it? Mr. Trump’s business decisions can also be seen here in Ireland as he wishes to build another wall around his Doonbeg Golf Resort in County Clare. Mr Tony Lowes of Friends of The Irish Environment is urging the Clare County Council to reject Donald Trump’s proposal to build a 3km wall that would as he claims “Destroy the pristine dune ecosystem”. Mr Lowe claims that Donald Trump has become annoyed and frustrated that he has to follow the legislations and if he does not get his way then he would close down the Hotel, which would have a major impact on the local economy as the Trump International Golf Hotel is one of the main employers in this region. This just shows the sheer power this man holds. Other than his extensive business ventures he also has a very extensive family and is now currently married to his 3rd wife. The couple got married in Palm Beach Florida, which guests including P.Diddy, Shaquille O’Neal, Simon Cowell and even Bill and Hillary Clinton. In 1977, Donald Trump married Ivana Marie Zelinockova from Czechoslovakia. 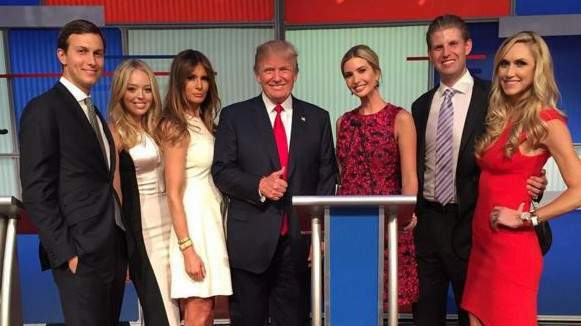 During their relationship, the couple had three children together, Donald Jr who is 38 years old, Ivanka who is 35 years old and Eric who is the youngest of Ivana’s children at 32 years old. The relationship lasted until 1991 when it was widely publicised that Trump was having an affair with Marla Maples, an American actress. The couple were then married in 1993 at New York City’s Plaza Hotel which had some big names in attendance such as Rosie O’Donnell and O.J. Simpson. During the course of their marriage they had one child, Tiffany who is 23 years old. The couple filed for divorce in 1999 where Maples was awarded a $2 million settlement. He met his current wife Melania Knauss from Slovenia at a fashion week party in September 1998 when Trump was still married to but separated to Marla Maples. As the couple split in 1999 they began to spend more time together even though Melania refused to give Donald her number at the event. Thanks to Donald Trump’s television show “The Apprentice”, the couple gained more recognition and on the 22nd of January 2005 the couple got married in Palm Beach Florida, which guests including P.Diddy, Shaquille O’Neal, Simon Cowell and even Bill and Hillary Clinton. Melania gave birth to Trumps 3rd son and 5th child Barron on March 20th 2006.
way that made her feel “violated.” From all the women that made these accusations there seems to be the recurring theme of there being no mutual interest. So what are we expecting during his term as President of the United States? Will we see more of his attitude to get what he wants without any regard for anybody? This remains to be seen but one thing is for certain, it is going to be an interesting four years.